If Ty Segall ever thinks about taking a breather from putting out music, now would be a good time to do it. Not because he sounds tired or bored or out of ideas. On the contrary: His new album Freedom’s Goblin deserves some time to stand on its own—to be fully absorbed by us mere mortals —before the next wave of Segall’s music rolls in on a raft of 7” records, collaborations, short-run cassettes and stray-track collections. Freedom’s Goblin is that good. And it’s that much. At 19 tracks and 75-ish minutes long, it’s a sure-footed expedition through Segall’s sprawling world of influences and interests, from psych, garage rock, pop and punk to soul, hard funk, heavy metal and beyond. And somehow, despite the run time and the diversity of sounds, Freedom’s Goblin never wanders for long. It’s thrilling, through and through. You’ll find evidence of throughout Freedom’s Goblin, on songs like “When Mommy Kills You” and “Shoot You Up” and “She,” each of which rumbles at typical Ty pace. But the album is also littered with credible efforts at drum-machine disco-funk (“Despoiler of Cadaver”), euphoric pop (“Alta”), skronky jazz-punk (“Talkin 3”) and an extended Crazy Horse homage (“And Goodnight”) to close things out. In “My Lady’s On Fire,” a delicate verse blooms into a beautiful song with a Southern country-rock soul. “Meaning” is a tightly wound dance-rock nugget with Segall’s wife, Denee, on lead vocals. “The Main Pretender” juxtaposes a strident saxophone lick with a kaleidoscopic chorus. And the lyrics for “I’m Free” seem to underline the philosophical core of this, Segall’s 10th true solo album in as many years: Late at night when I’m all alone/ No distractions, nobody’s home/ I’m not the person you think I might be/ I’m someone different, I’m free. It’s no coincidence that Segall spent the past decade refusing to be pinned down. Once we had him pegged as a garage-rocker, he went psych and glam. After a whole bunch of fuzzed-out scorchers, he made an album full of gentle acoustic songs. Once we labeled him a solo artist, he started a band (OK, a few bands). And whenever we thought he couldn’t possibly put out more music, he did just that. 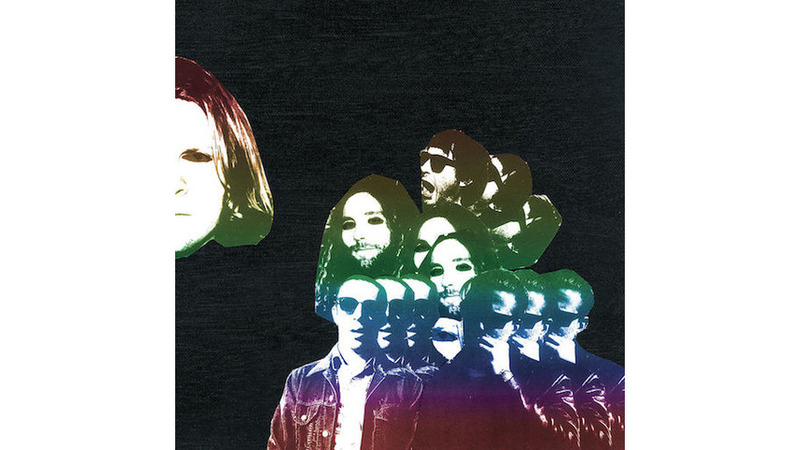 And now, a decade later, Ty Segall has made a massive album that not only celebrates that freedom he’s carved out for himself, it also effectively summarizes the journey so far. And it’s pretty darn listenable to boot. It may very well be his greatest accomplishment yet, which is why he ought to feel free to pull the ultimate surprise: take a break and let Freedom’s Goblin ring for a while.